We’ve managed to get a long way with that true Northern Norwegian humility and a decent dose of that sure-we-can mentality! We’ve tried and failed, learned and succeeded since 1991. 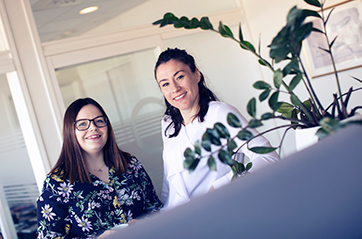 Now we’re one of Norway’s leading suppliers of recruitment services and solutions, and we’re still growing. We all work closely together here and listen hard to what our clients have to say. 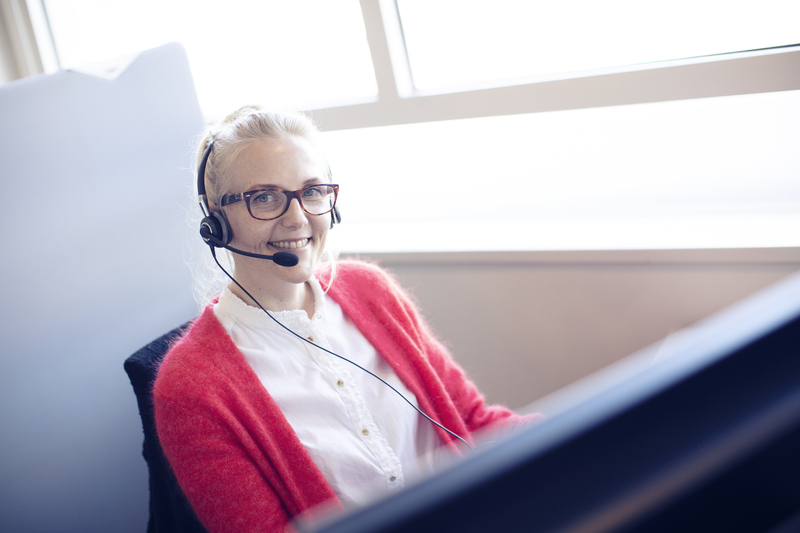 Our aim is to make recruitment easier for all enterprises that need to take on staff – and to exceed expectations. Sparkle, client value and co-creation – our mantra. Our team is made up of 21 people. 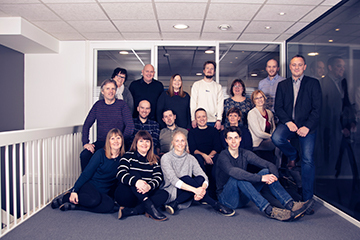 Everything we do is done in-house, in Bodø. Our team is divided over two floors, each accommodating about half of the workforce. We all meet up every day to have lunch together, swap ideas and resolve issues over sandwiches and coffee. We’re a dependable team. We all like one another, and we know how to bring up kids – with affection. We pick up the phone when it rings, and we always answer with a smile. We work hard to accommodate our clients and don’t promise anything we can’t deliver. We sort our waste and recycle it where we can, and not just occasionally – after all, we buy our shrimps directly from the quayside. We take care of one another and share all the housework. We’re proud to hold environmental accreditation, and the evidence is framed! Waste not, want not. We certainly don’t waste anything… Dun & Bradstreet gives us an AAA rating. We’re based in our own building, just a short distance from the centre of Bodø. 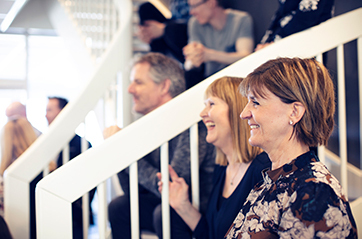 And of course, we’re pleased to offer true Northern Norwegian hospitality – so do drop in if you’re in the area. 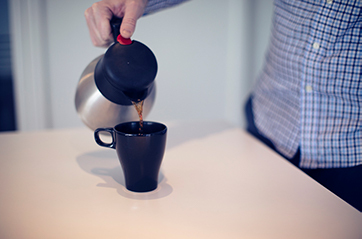 Our door is always open, whether you’d like a demonstration of our services or just a cup of coffee and a nice chat. Please contact us if you want to know more about our services. We are happy to hear from you!